Beauty Can Be Dangerous, Keep Your Clients Protected! Super Sunnies Eyeshields features a lightweight, comfortable plastic frame with a high-rise nose bridge to eliminate tan lines and an elastic headband to assure perfect fit. Economy dozen. 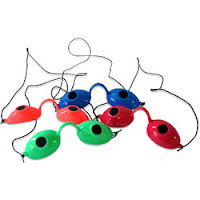 Super Sunnies® Eyeshields meet all FDA UV ray protection requirements and satisfies 21 CFR 1040.20, Performance Standards for Sunlamp Products. 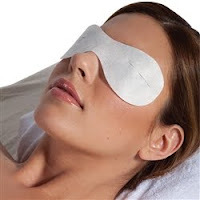 Can be used during massage, facial and other services when using eye pillows, eye masks or contacting eyes to any surface. Protects the eye against contamination. 7" x 2.5". 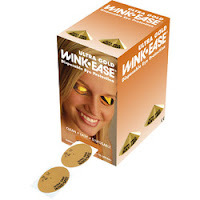 Ultra Gold Wink-Ease Disposable Eye Protection features improved adhesive and easier to assemble. 250-pr. 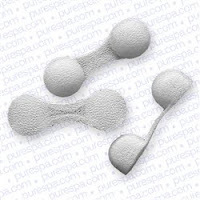 These disposable nose filters helps eliminate overspray inhalation of spray tanning solution. So comfortable, you won't even notice you are wearing them! Wear all day, then throw away! One size fits most.